Contrary to the endorsements of the regulators, the ILRA is barely digestible to many in the profession. They are legion: ILRA critic Dr Garry Hamilton. Perhaps we can take comfort when the views of the insolvency regulators are diametrically opposed to the views of experts in the industry and academe? After all, isn’t ensuring nobody is happy the secret to successful government? Such were the thoughts that occurred as SiN read the social media commentary issuing forth after September 1, the day the second and final tranche of the Insolvency Law Reform Act (ILRA) was activated. On that day the personal and corporate insolvency regulators released a joint statement supporting the legislation. New AFSA boss Hamish McCormick described the ILRA reforms as “an important milestone in the rules governing insolvency in Australia”. ‘These reforms will support a greater level of consistency and standards across both systems. They will also empower creditors to request information from insolvency practitioners’ he said. ASIC commissioner John Price meanwhile made the startling prediction that: “The changes will enhance trust and confidence in the insolvency profession”. 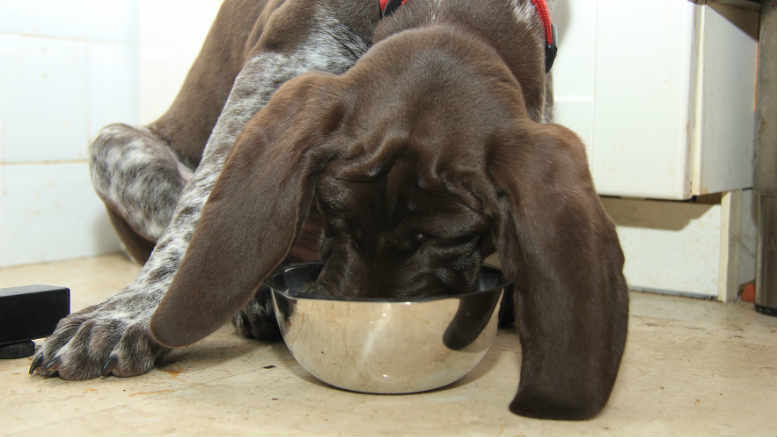 “Who is responsible for this dog’s breakfast? Treasury? ASIC? Senator Williams? AFSA? A drunk parliamentary drafter? A failed comedian? A narcissist? We have been taken back a half a century.” Dr Garry Hamilton. Unfortunately for the bureaucrats, a great many of the eminent and the experienced begged to differ in terms undiplomatic. “Who is responsible for this dog’s breakfast?,” railed Dr Garry Hamilton, senior legal consultant of Taylor Wood Lawyers and until the ILRA Australia’s only practicing lawyer also registered as an official liquidator. “Treasury? ASIC? Senator Williams? AFSA? A drunk parliamentary drafter? A failed comedian? A narcissist?”, Dr Hamilton opined rhetorically on a popular online forum. Hamilton, it should be noted, is a Doctor of Laws, a Fellow of the Institute of Chartered Accountants, a Fellow of the Certified Practising Accountants and a Fellow of the Governance Institute of Australia. He might be thought to have a considered opinion. Jason Harris, associate professor at the University of Technology’s faculty of Law meanwhile was less speculative about the identity of the ILRA’s authors, but no less damning of the Act. A veritable forest of gumpf no less? 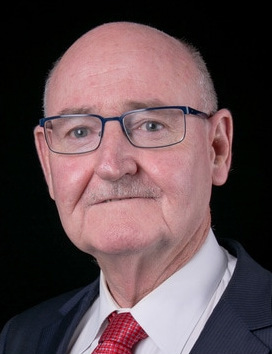 Another academic who’s no stranger to insolvency law is Dr Colin Anderson, who holds a Bachelors’ degrees and a Doctoral degree from the University of Queensland (UQ) and a Masters degree in law from the Queensland University of Technology (QUT). Anderson’s main research expertise and interests lie in the area of corporate insolvency law. His view of the ILRA, published in his last editorial after 10 years editing the Insolvency Law Journal? ” …. never has so much effort been devoted to produce so little”. Nor has likening the ILRA to a canine fry up been the exclusive preserve of Dr Hamilton. Anyone who’s attended an ARITA conference in the 12 months is likely to have heard chief executive John Winter invoke the “dog’s breakfast” descriptor whilst lamenting the “incredibly complex” set of new laws, which he says constituted 10 per cent of legislation passed by government in 2016. This week Winter warned that the ILRA is: “bad legislation. Overly complex, still filled with errors, vague in key places and, as is pointed out here, delivers little in the way of structural improvements”. This litany of condemnation is a damning indictment on the ILRA’s drafters, the relevant portfolio minister and the bureaucrats slavishly endorsing the new laws in subjective public pronouncements that fail to acknowledging legitimate concerns articulated by the expert and the informed. Based on the mutual dissatisfaction principle of government, this is as good as it gets. 3 Comments on "“dog’s breakfast” spray highlights ILRA divide"
The Good Doctor has nailed the list of culprits. How massive is the irony of a government that is touting its small business credentials and cutting red tape spewing forth this crap? Most practices are small businesses and getting smaller. This extra compliance and distraction is just what was needed. The drafting process is worthy of a series (not just an episode) of Utopia or Hollow Men. So there you have it. Legislation enacted by a parliament, itself populated by many who seemingly cannot confirm they qualify for their own jobs. Legislation which doesn’t work as per the Owner’s Manual. The ILRA is a poor reflection of 116 years of federation – ex-officio rubbish intended to solve an illness which hasn’t been correctly diagnosed. It is redolent of a government hostage to sectional self-interests and devoid of vision required for genuine reform. Both sides of politics are equally to blame. Key opportunities for simplification have been missed. Refocussing responsibility on those who actually cause the corporate failure (Directors) is, well, not in focus. Rampant tax evasion and phoenixing, which is the responsibility of the Directors, will continue and this new law does nothing to change that. Senator Williams may well think all liquidators are unworthy of their hard-won titles. Some at ASIC and Treasury presumably agree. Nothing could be further from the truth. Recoveries in a liquidation are underpinned by the assets available at the date of the winding up (fundamental concept 1). If the company’s directors have allowed them to dissipate, that cannot be the liquidator’s doing (fundamental concept 2). Ergo, the Directors should be the target of creditors’ ire (fundamental concept 3). However, the Commonwealth Government wants to go hard on the Liquidators. Analyse that! This legislation is publically touted as a response to the behaviour of Stuart Ariff. Give me a break. It is a straw man to direct attention away from what ASIC was not doing when Ariff should have been in their sights. The popular press has not advanced considered debate, it appears falling into the trap of believing ASIC press releases instead of challenging them. Commentators such as Adele Ferguson in the AFR (28/8/2017) diminish their own profession (itself under attack by Social Media) by railing against liquidators without correctly structuring the logical basis for her arguments. An attempt to justify the ILRA around documented complaints against liquidators is statistically misleading. (eg “[ASIC] reviewed 17 remuneration reports and of these, 10 were adequate and 7 were inadequate, again a high number”). The correct comparison would be to the number of reports, not the number of liquidators, in case you missed the error. Who says it’s a high number anyway, compared to the number of remuneration reports? It’s as misleading as matching complaints against policemen vs those against nurses. The nature of each group’s charter drives a fundamentally different response and for obvious reasons. Perhaps some of these people who criticise a profession they do not understand should sign up for some work experience in an IP’s office (unpaid of course – can’t charge the creditors for it!). A later instalment in this saga will inevitably address the wrongs contained in the ILRA. The authors of this terrible legislation will have long ago sailed into the sunset, proud of their efforts and none the wiser of the costs and confusion left in their boiling wake. Your teflon coating is beginning to crack? ?